Bundesliga | Pop legend Robbie Williams outs himself as Hannover 96 fan! Pop legend Robbie Williams outs himself as Hannover 96 fan! 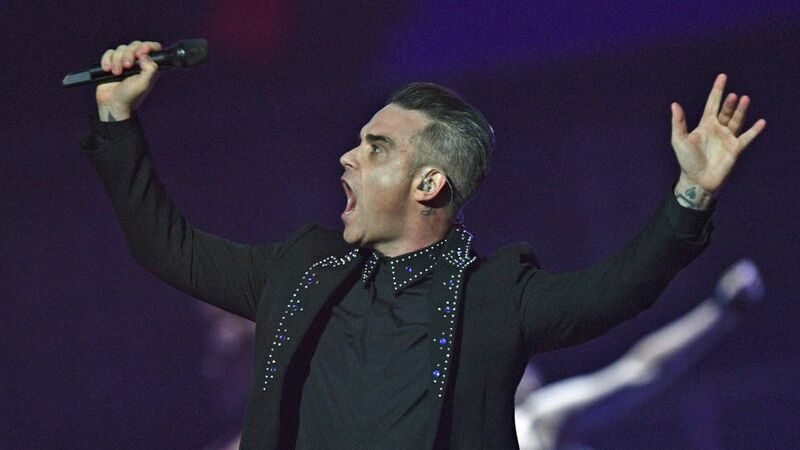 Pop icon Robbie Williams has been invited to train with Bundesliga club Hannover 96 after outing himself as a fan of the club in a video blog posted following a concert in the city. Williams recently played a concert to 45,000 fans in the HDI Arena, the 96ers’ home ground, including - of course - his classic “Let Me Entertain You”. Watch: Robbie's new club have made a great start to life back in the Bundesliga, including beating Schalke on Matchday 2! The promoted club have since gone a step further, however, with coach Andre Breitenreiter using his press conference before the Matchday Four fixture with Hamburg to invite the pop star to training. Click right here for more Hannover news and features!